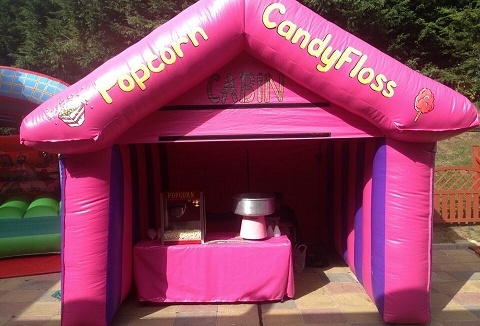 Add the right atmosphere to your event or function with our inflatable popcorn and candy floss cabin. You can hire individually or as a package; candy floss machine, popcorn machine and chocolate fountains. Supplies of products and sundries provided. We offer a fantastic friendly efficient fun food equipment hire service that is provided promptly and reliably, at reasonable cost. 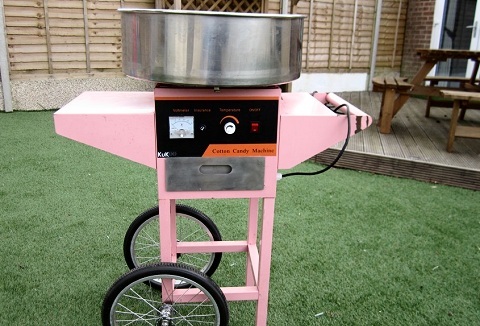 Cotton candy floss machine comes with a matching pink cart supplied with a choice of candy colours, slush machine on base. 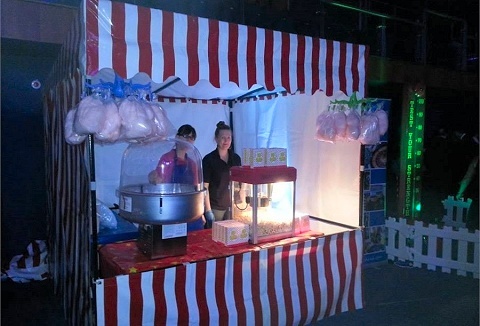 For all the fun of the fair, why not add a popcorn or candy floss machine to your event. Always a popular favourite treat at fun days and also a great fun raising idea. Why not let your guests help themselves with a candy buffet station or candy cart.